1. 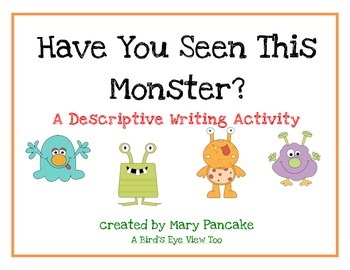 Whole class- I choose one of the monsters and as a class we list all the ways we can think of to describe it. I prompt the students to think about size and shape, as well as colors and patterns. 2. Small groups- students work together to create a detailed description of a monster. 3. 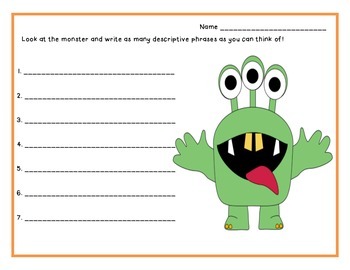 Individual- Students get a sheet with a black and white monster. They color it however they want, then write a description. 3 black and white monsters are included for additional practice. 4. 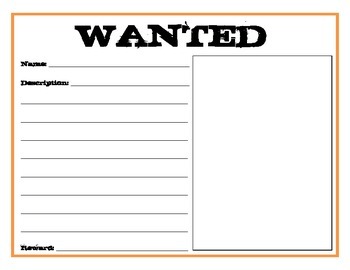 As a culminating activity, students create a “Wanted” poster for a monster of their own design. Thanks for checking out this product! I hope you find it useful. I would love any feedback you may have.